A man was sentenced to life in prison on Thursday (January 12) after an October conviction of the 2004 murder of a New Orleans resident and friend of Juvenile. According to NOLA.com, Charles Raymond was convicted of killing Nathaniel Robertson, a family friend of Juvenile’s, following an incident in which Raymond and friends wanted to jack Robertson for the car he was driving. The vehicle, a Hummer H2, actually belonged to Juvie’s brother and Robertson was said to be caring for it for the time being. The 37-year-old was shot by Raymond in the back five times and lost his life during the incident. Reports say that witnesses testified that Raymond was not hush about what had gone down, as he bragged about the killing following a brief stint in jail. Initially, Raymond, along with four other men, were arrested following the murder. However, things did not go as planned for the prosecution in state court, which triggered a federal investigation as the case fell apart at the local level. In addition to Raymond, three other men will be serving time for their roles in the incident. Juvenile’s upcoming album, Rejuvination, is tentatively slated for a January 17 release. The first single, “Power,” was released online in November, and is produced by Mannie Fresh and features Rick Ross. 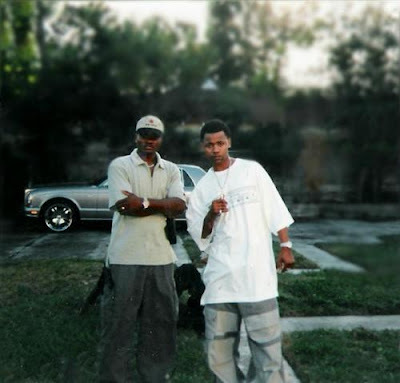 After cooking up heat for a number of years as the anchors of Cash Money, Juvie and Mannie reunited for the first time on wax in years on the single.